The key to an energy efficient and hygienic air quality ventilation system is a customized system design combined with a comprehensive maintenance service. All this you can get from a single supplier. 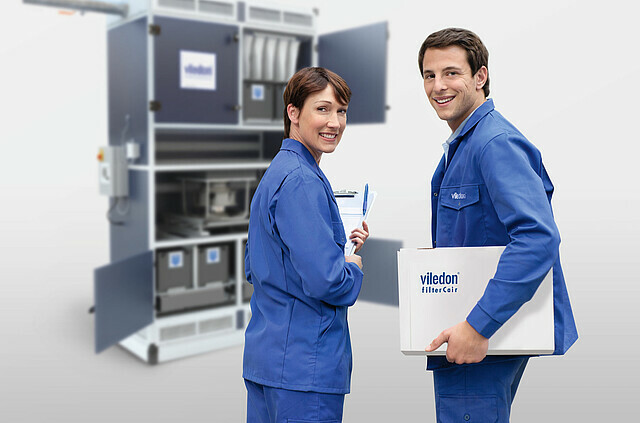 Viledon Engineering provides a complete development and installation program for retrofitting or new construction of air filter systems, particularly for power generation plants, for the chemical and food industry as well as for paper mills. The e.FFFECT Calculation Tool makes the analysis of the performance of single and multi-stage filter systems easy. Using e.FFECT find the optimum filter system for your plant.